I am not saying the town of Concord, Mass. is purposely and maliciously pursuing the continued poisoning of their citizens with tap water that is more than likely fluoridated; I’m saying the the people in charge of Concord are just plain dumb. “We only have one planet and I just don’t want to see it spoiled,” said Jean Hill, who introduced the measure at Concord’s Town Meeting. Hill said that New York, Illinois and Virginia, as well as more than 100 cities, have taken action to cut spending on bottled water. The measured passed by Concord would allow the sale of refillable containers of water, which could still be sold and delivered in town. Only plastic bottles that companies cannot reuse would be banned. “Water is something we can get from the faucet. You can’t turn your faucet on and get soda,” said Selectwoman Virginia McIntyre, explaining why other plastic bottles would not be banned. From 6.29.2000; Dr. William J. Hirzy, addressing the Senate Hearing on Safe Drinking Water Act. Dr. Hirzy was a senior vice president of the EPA Headquarters Union. And last but not least, Andrew Mellon who created the Mellon Institute in 1913 (what a magical year that was) with his brother, Richard. The namesake of this foundation, Andrew W. Mellon (1855-1937), made his fortune with Mellon Bank, Union Savings Bank, Gulf Oil, the American Locomotive Company, Pittsburgh Coal, and ALCOA. He also served as Secretary of the Treasury under U.S. Presidents Harding, Coolidge, and Hoover. He gave away some $10 million during his lifetime, mostly to educational and charitable organizations. A good deal of his money was also earmarked to help establish the National Gallery of Art in Washington, D.C.
Three years after Andrew W. Mellon’s death, his daughter, Ailsa Mellon Bruce, established the Avalon Foundation. In 1941 his son, Paul Mellon, set up the Old Dominion Foundation. In 1969, these two foundations merged to form the Andrew W. Mellon Foundation. Former Princeton University president William Bowen has been the Mellon Foundation’s President since 1988. Under his leadership, the Foundation’s grantmaking priorities have moved decidedly to the political left, focusing increasingly on racial preferences and “diversity” initiatives. In 1998 Bowen co-authored (with Derek Bok) the book The Shape of the River: Long-Term Consequences of Considering Race in College and University Admissions which defends the use of race preferences in college admissions, and questions the validity of “merit” as a measurable academic trait. The Foundation’s “Higher Education and Scholarship Program” (HESP) supports initiatives to “strengthen selective research universities in the United States, with particular emphasis on the humanities and ‘humanistic’ social sciences.” Another primary funding objective of HESP is to support organizations dedicated to “racial justice.” This emphasis is based on the premise that American society generally, and academia in particular, is rife with racial inequity and discrimination that takes its greatest toll on blacks, Hispanics, and American Indians. In an effort to remedy these perceived injustices, in 1989 the Mellon Foundation established its Mellon Minority Undergraduate Fellowship (MMUF) program, whose original mission was “to increase the number of highly qualified candidates for PhDs in core fields within the arts and sciences who come from minority groups that are seriously underrepresented in these fields—principally African Americans, Hispanic Americans, and Native Americans.”. The Mellon Foundation’s “Conservation and Environment Program” (CEP) gives voice to an anti-capitalist, anti-development worldview. Throughout the Foundation’s history, numerous Mellon CEP grants have been earmarked for the acquisition of private land, which in turn is sold to the federal government and is thereby effectively rendered off-limits to human habitation or development. The CEP continues to fund such land-acquisition initiatives by supporting the organization Trust for Public Land. The Mellon Foundation’s “Museums and Art Conservation” program is designed to help art museums “build and sustain their capacity to undertake serious scholarship on their permanent collections; to preserve these collections; and to share the results of their work in appropriate ways with scholarly and other audiences.” The “Performing Arts” program provides multi-year grants to leading organizations in the disciplines of music, theater, dance, and opera. The “Population Program” (a composite of the formerly separate Population and Refugee programs) advocates in the areas of reproductive biology, contraceptive development, AIDS, poverty, immigration (both legal and illegal), and abortion services for refugees and immigrants. Among the groups that have recently received Mellon Foundation grants are: the Tides Foundation; the Tides Center; the Environmental Working Group; the World Resources Institute; Environmental Defense; the Worldwatch Institute; the Trust for Public Land; Resources for the Future; the Urban Institute; the Brookings Institution; AVSC International; Advocates for Youth; the Sundance Institute; the Center for Population Options; the Environmental Law Institute; ; the Women’s Commission for Refugee Women and Children; the U.S. Committee for Refugees; the Institute of Ecosystem Studies; the Alan Guttmacher Institute; the National Trust for Historic Preservation; Population Action International; the Earthwatch Institute; the Population Resource Center; the Ecological Society of America, Inc.; Human Rights First; the Migration Policy Institute; the International Center for Research on Women; the Immigration and Refugee Services of America; the Council on the Environment, Inc.; the Aspen Institute; the Social Science Research Council; Refugees International; the Population Association of America; the Population Council; and Green Guerillas, Inc.
Three decades later, Carnegie president Alan Pifer’s 1968 annual report reads like a voice from another planet. Abandoning Keppel’s admirable restraint, Pifer exhorts his comrades in the foundation world to help shake up “sterile institutional forms and procedures left over from the past” by supporting “aggressive new community organizations which . 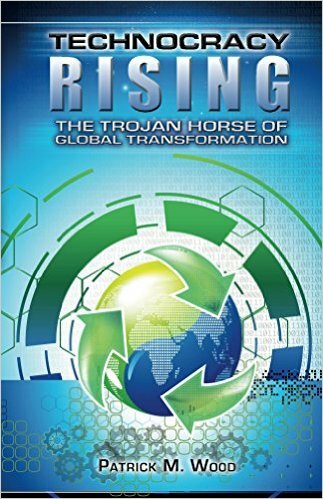 . . the comfortable stratum of American life would consider disturbing and perhaps even dangerous.” No longer content to provide mainstream knowledge dispassionately, America’s most prestigious philanthropies now aspired to revolutionize what they believed to be a deeply flawed American society. The results, from the 1960s onward, have been devastating. Foundation-supported poverty advocates fought to make welfare a right—and generations have grown up fatherless and dependent. Foundation-funded minority advocates fought for racial separatism and a vast system of quotas—and American society remains perpetually riven by the issue of race. On most campuses today, a foundation-endowed multicultural circus has driven out the very idea of a common culture, deriding it as a relic of American imperialism. Foundation-backed advocates for various “victim” groups use the courts to bend government policy to their will, thwarting the democratic process. And poor communities across the country often find their traditional values undermined by foundation-sent “community activists” bearing the latest fashions in diversity and “enlightened” sexuality. The net effect is not a more just but a more divided and contentious American society. Not all foundations adopted the cause of social change, of course; but the overwhelmingly “progressive” large foundations set the tone for the entire sector—especially such giants as Ford, which got radicalized in the sixties, and Rockefeller and Carnegie, which followed suit in the seventies. Such foundations wield enormous financial might: a mere 2 percent of all foundations (or 1,020) provide more than half of the approximately $10 billion that foundations now give away each year, and in 1992 the 50 largest foundations accounted for more than one-quarter of all foundation spending. Though some conservative foundations have recently risen to prominence, Smith College sociologist Stanley Rothman has found that liberal foundations still outnumber conservative ones three to one, and that liberal policy groups receive four times as much foundation money and four times as many grants as their conservative counterparts. The Ford Foundation gave $42 million in grants to education and culture alone in 1994, while the Olin Foundation, the premier funder of conservative scholarship on campus, spent only $13 million on all its programs, educational and non-educational. Understanding the impact of foundations on American culture so far, therefore, means concentrating on the liberal leviathans. For more information about the dangers of fluoride and how to protect yourself and your family, please visit the Fluoride Action Network. OMG…….I just had my teeth cleaned yesterday. I noticed when I got home I was charged $30.00 for the fluoride treatment which I didn’t get, LUCKILY!! But, I didn’t escaped the prescription for fluoride toothpaste, which is going in the circular now. Your timing on this report save me D.T……THANK YOU!!!!!!!!!!!! Just passing on the good karma. Pretty soon people have to use only recycled paper to wipe their butts. The crazy progressives have taken over this whole damn country. HOWEVER, if people would go to city council meetings they could take back their power. But it seems like everyone is just accepting this crazy stuff (too busy, too lazy, too apathetic). Thanks for all of this info, DT. 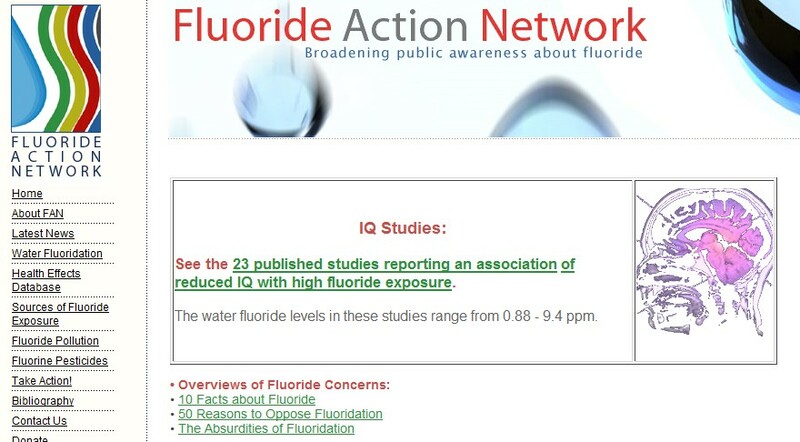 I had heard before about the danger of fluoride. I work with children ans so many have ADD and ADHD. I have always said it is because of our environment. Why the government has added chemicals to water and foods is beyond me. Of course, there was a time when there were typhoid epidemics in the country from poor water,etc. Our creator didn’t intend for our bodies to take in un-natural substances. I should talk, I have a lot of stainless steel and plastic in mine! Let’s see: cancer, osteoporosis, obesity, diabetes, autism, and then there is the biggie – alzheimers. I wonder how many of these are attributal to this kind of BS?